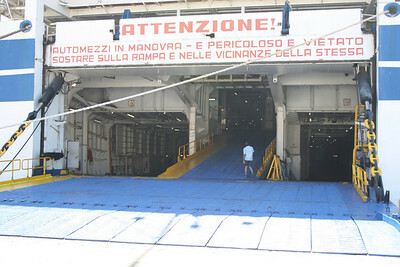 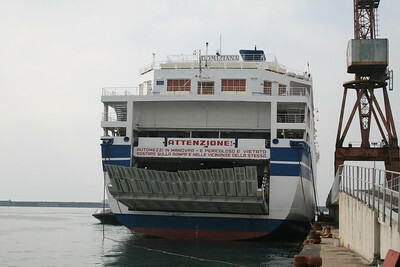 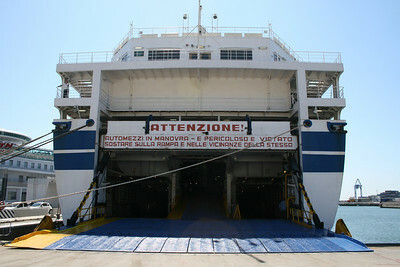 F/B DOMIZIANA : access to three decks. 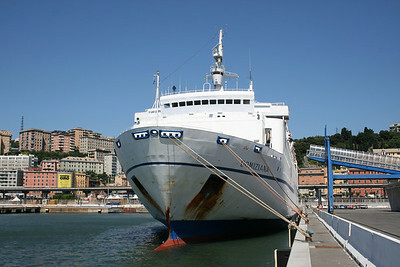 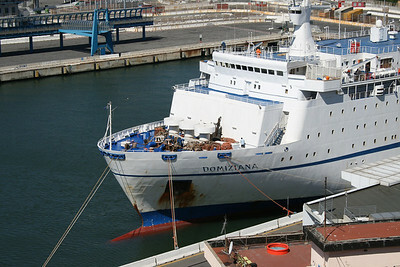 F/B DOMIZIANA moored in Genova. 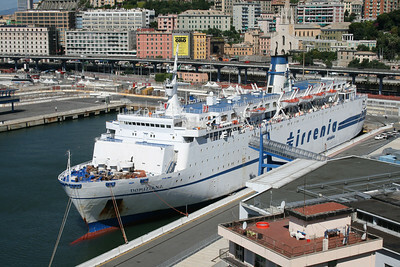 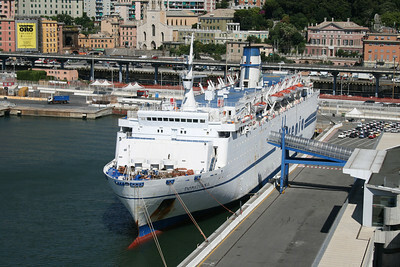 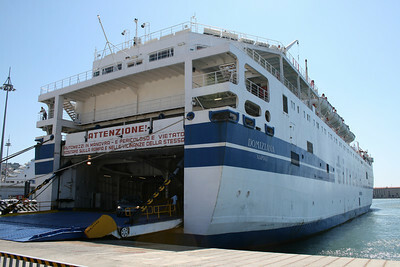 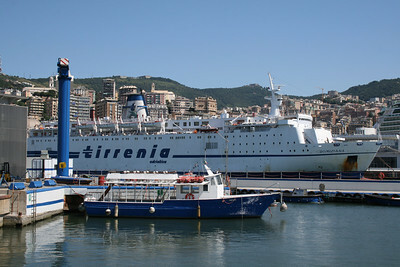 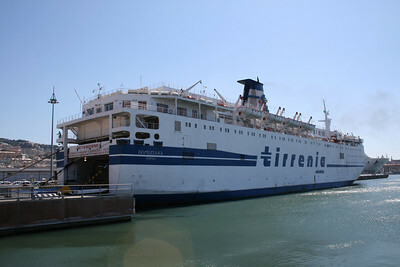 F/B DOMIZIANA in Genova. 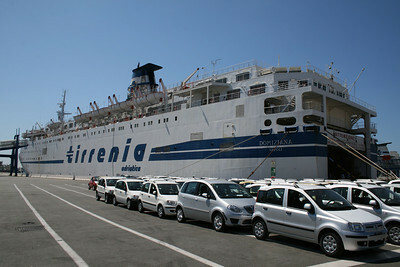 Cars waiting to embark. 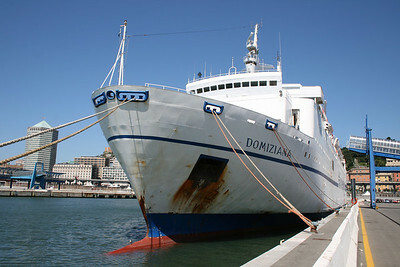 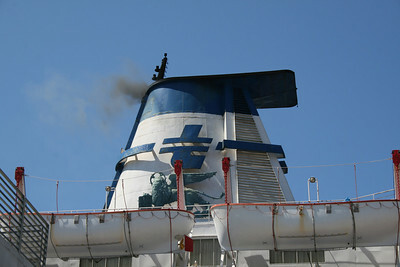 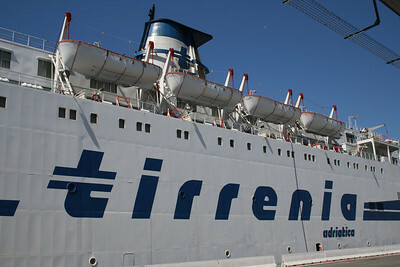 F/B DOMIZIANA : the funnel with the lion of S. Marco, old logo of Adriatica shipping. 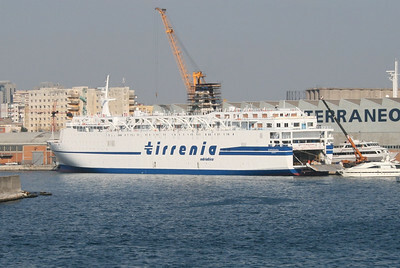 F/B DOMIZIANA : side logo of Tirrenia - Adriatica Division. 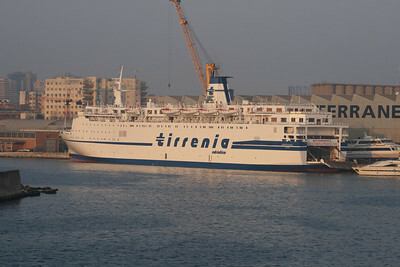 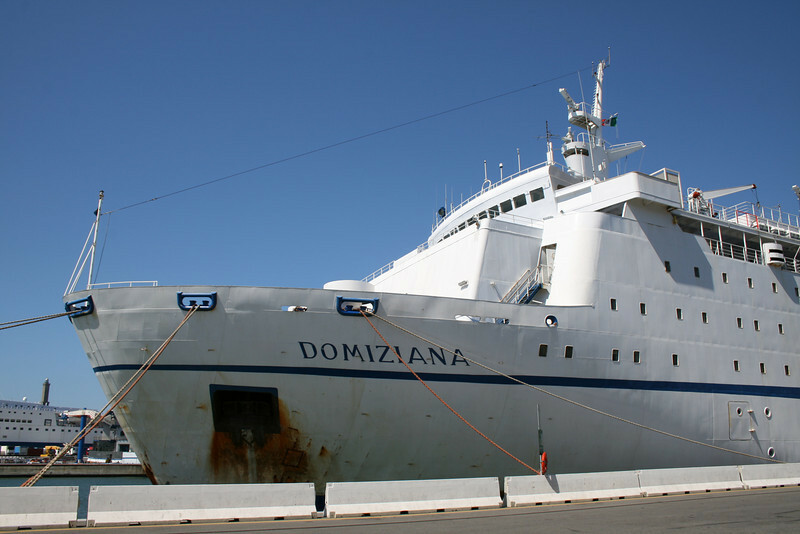 F/B DOMIZIANA at shipyard in Napoli.